These three strategies for lowering one's footprint are placed in order of effectiveness, with recycling generally coming in at a very distant third. Recycling of most items simply takes way to much energy to collect, sort, and re-process. Therefore the gains are often minimal and are sometimes negative, from an energy standpoint. We gardeners, as a group, I think operate at the reduce and re-use level far more than the general population. Our home grown produce likely uses far less energy than is the case with the produce that is purchased retail. And on the boards and other places, I've never seen so much imagination, in how to re-use some object often in an improvised way, to satisfy some gardening need. Any way that gets me to the point of this post. Yesterday, I gathered together some old boards, most of which were once my deck and some were a shed. The result is a nice plant bench placed beside my main gardening area. Here is a photo. Also about a week ago. I took some of those old deck boards, which had been converted into raise beds. Since the beds have been taken apart and rebuilt, what to do with the old boards. They became the primary material in several new planting boxes. 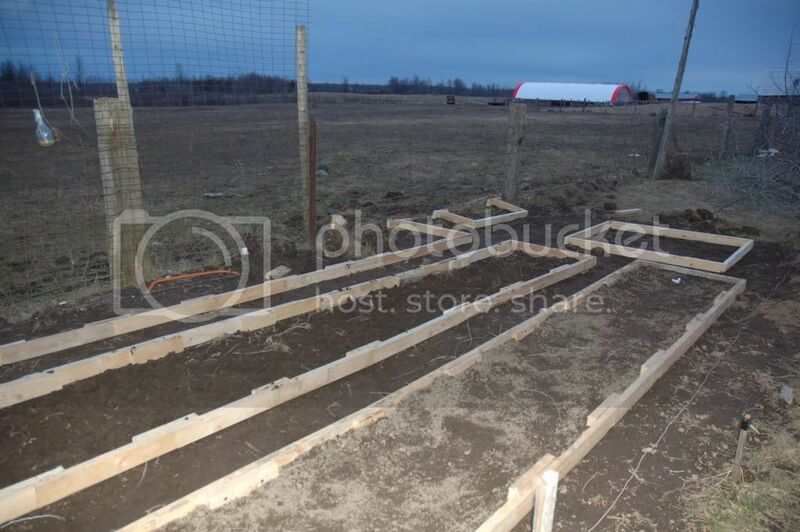 This is old treated wood, so no food will go into the boxes, but they should be perfectly fine for planting flowers. 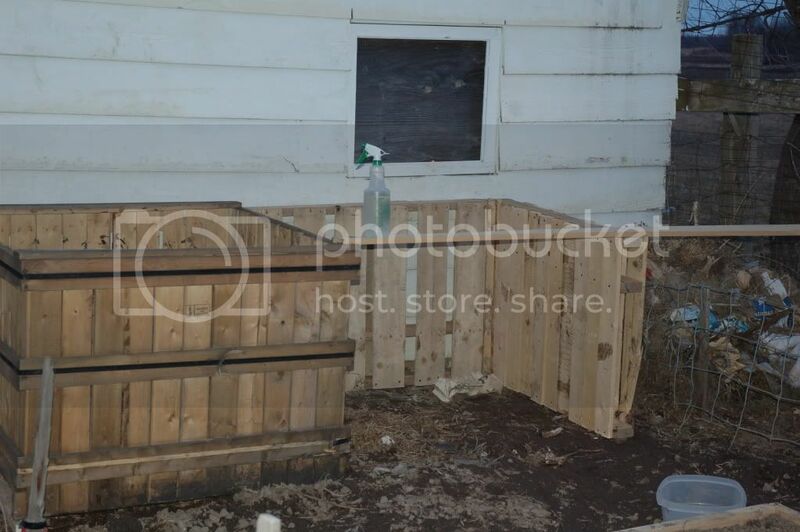 Each box hold a little more or little less than 2 cubic feet of soil. In the background of the photo above, you see my compost setup. You guessed it, almost 100% re-used decking materials. Good to know you are doing this. I as at a few gardeners on here are very much Reuse people. Being in the construction field I'm always bringing stuff home that I can make "something" out of instead of it going into a dumpster. Heck I have begun to finish my basement off with 100% reclaimed wood. It had nails in it and carpenters won't pull them so in the dumpster it goes. I built a compost bin out of the same wood, 4 birdhouses, trellises all reclaimed. It save me money and saves the environment at the same time, you can't go wrong there. Keep doing what your doing and let's get some more people on board. I don't remember what the box originally had in it - but now it has my potatoes! What a waste that would have been :S! The compost is constructed of skids on their sides. He brought home another load today to make my new garden fence & the little man is getting a sand-box! Yep, I'm a re-user, re-applier. When I think some wacky idea up, I assume no one has done it before so it can't be bought. I then start looking around for something in the shop or the yard that will work with a little remodeling. I've been wanting to round up some of the wooden pallets or skids and make a compost pile. It seems when I think of something, some genius gardener on this forum has done it before me. Alex, I have a large stack of those used deck boards, so you have given me some ideas. Thanks! Your deckboard planter box has a clean efficient look to it. Did you use a nail gun, hammer and nails, or decking screws. I have started using exterior screws on just about all outside projects. I find that screws facilitate both repair and re-use. In fact the screws usually end up getting re-used when some object gets taken back apart. How much does Veggi Gardening Reduce CO2 emissions?